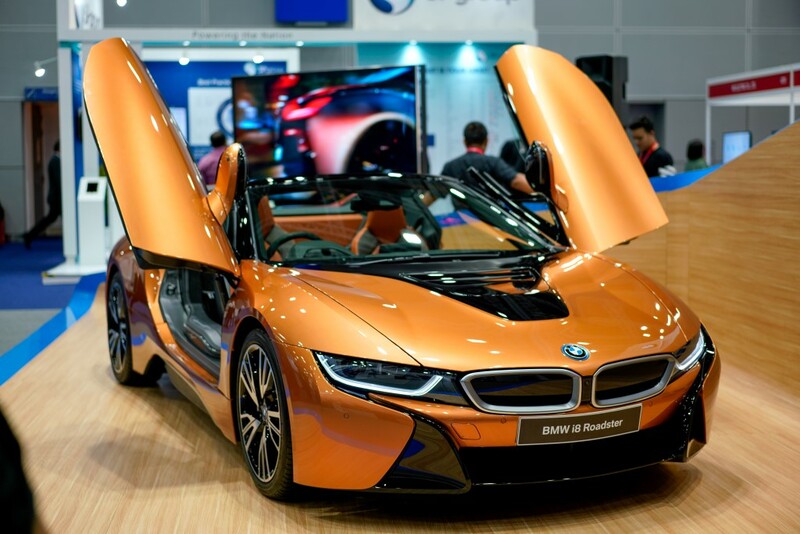 Following the launch of the new BMW i8 Coupe last month, BMW Group Malaysia has today introduced the i8 Roadster at the on-going Conference of the Electric Power Supply Industry (CEPSI) 2018 at the Kuala Lumpur Convention Centre. While the 2+2 seater i8 Coupe sells for RM1.3 million plus, this strictly 2-seater Roadster starts upwards of RM1.5 million. The all-wheel drive mid-engine plug-in hybrid sports car is powered by a turbocharged 1.5-litre three-cylinder petrol engine the drives the rear wheels via a 6-speed torque converter automatic transmission, assisted by an electric motor that drives the front wheels. 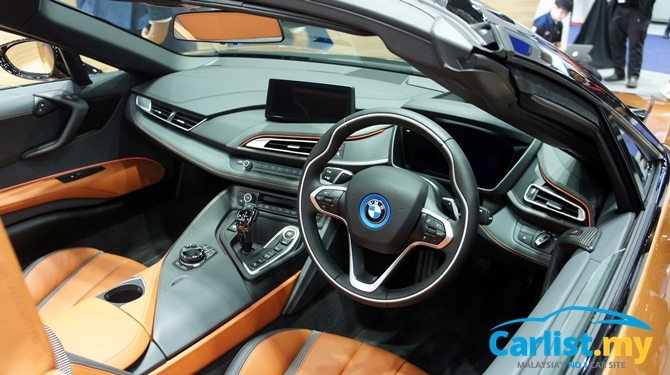 All upgrades/improvements made to the new i8 Coupe are also mirrored on the Roadster. To recap, the new i8 series now feature a more powerful electric drive unit. The electric motor driving the front wheels is now rated at 105 kW, 9 kW more than before. The high voltage lithium-ion battery’s gross energy capacity is now 11.6 kWh, up from the previous model’s 7.1 kWh. With Drive mode set to eDrive, the new i8 now has an electric-only driving range of 53 km, or an eDrive top-speed of up to 120 km/h. When combined with turbocharged petrol engine, the sprint from 0-100 km/h is completed in 4.6 seconds, 0.2 seconds slower than the Coupe. Top speed is electronically limited to 250 km/h. 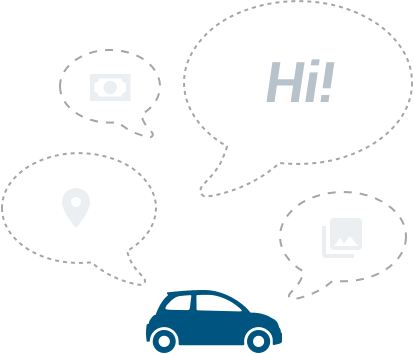 The ConnectedDrive infotainment system has also been upgraded, with graphics and user interface similar to those used in newer BMW models like the 7 Series and 5 Series. The Roadster weighs 1,595 kg (unladen weight, EU), 60 kg more than the Coupe. In relation to that, the i8 Roadster has a different setup for its suspension, damping, steering and electronic stability control parameters.  The fabric top opens or closes in 15 seconds, and if necessary, can be done at speeds of up to 50 km/h. 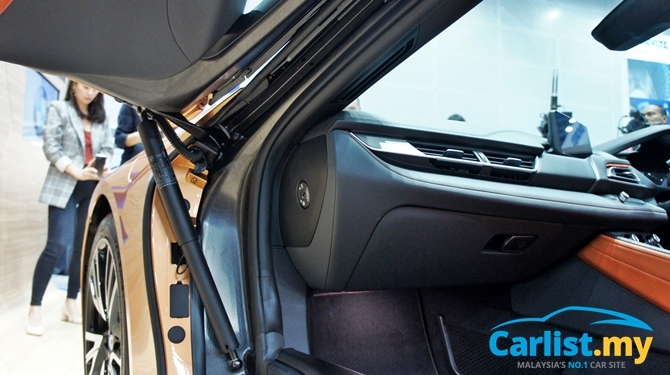 The roof folds away tightly into a space that in the Coupe, would’ve been taken up by a pair of small rear seats. 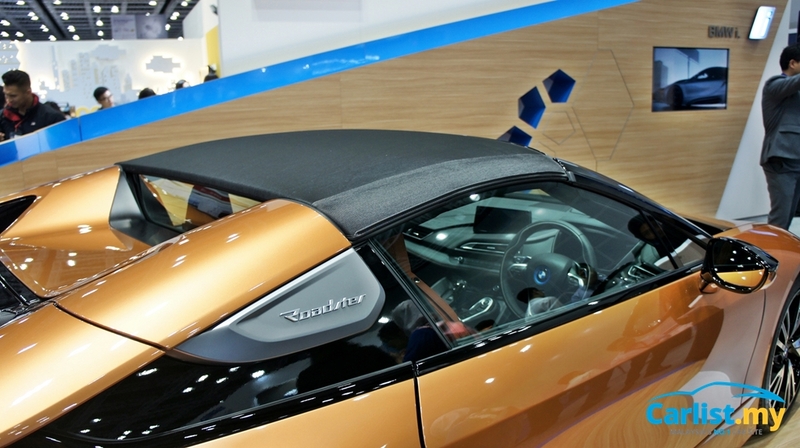 As such, the Roadster loses the Coupe’s rear seats. However, it makes up for it by offering a rather decent 92-litre storage space, accessible by folding down the seats. This is on top of the 88-litre boot space behind. Like the Coupe, the doors open upwards gullwing style. 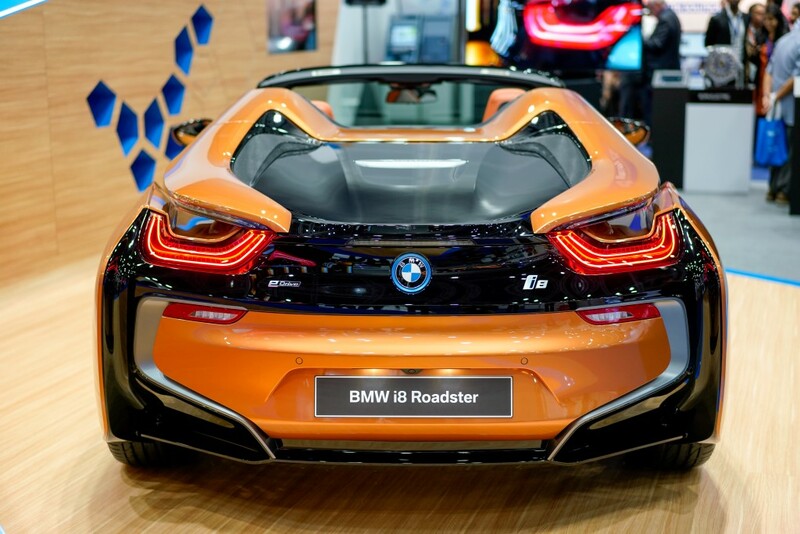 This was quite a feat by BMW as the Roadster has a different A-pillar and the door hinges had to be redesigned to work on a Roadster style body. Our local i8 Roadster is available in the new signature E-Copper metallic colour with Accaro interior, but other exterior and interior colour combinations are also available upon request. The model will be available at authorised BMW i dealerships from 19th September 2018.